"Don't just lurk on your friends' stories on Snapchat: get on your feet and meet up with your friends IRL!" - Snapchat's new update has just sent its users this not so subtle message with its most recent update: Snapchat Snap Map. Snapchat's Snap Map update is HUGE. Not only Snap Map lets Snapchatters share their current location and updates with friends on a map when they open the app, but also displays a heat map of snaps from around the world. Browse The map is The feature is available starting from today to users on iOS and Android all over the world. In an exclusive comment for Refinery29, Snap product designer Jack Brody said: "In a lot of ways, we're taking what a map is and turning it upside down. This map isn't about where am I, it's about where are my friends and what are they up to? It's not about figuring out how to get to your destination, but about discovering where you want to go." When you open the Snapchat app after updating to the most recent version, you will receive a notification about Snap Map and a walk-through of the new feature. When it comes to sharing your location, there are a few options: you can share it with all of your friends or a group of selected friends or go into the 'Ghost Mode' and see your friends' location without sharing where you are. Snapchat only updates a user's location on the Snap Map when they open the app. Location sharing is turned off by default so if you want to use it, follow the steps to turn it on. Once you've set your Snap Map preferences, you can access the Map any time by pinching your fingers on the Snapchat camera home screen - as you do when you zoom in. Zoom in or out on the map to see where your friends are. If you are friends with someone and you both shared your location, you will see each other's Bitmoji on the map. If your friend is in a car driving or on an airplane jetsetting to a new destination, the Snap Map will reflect this and you will see your friends' Bitmoji 'doing stuff'. Snapchat picks an ActionMoji automatically, based on the location, time of day and other factors. When you tap on your friend's “ActionMoji” BitMoji, you can either jump straight to their Story or start chatting to them directly in a messenger. If your friend doesn't have a Bitmoji but opted into Snapchat's Snap Map, you will see an outline of a person instead of a Bitmoji. While roaming across the Snapchat Snap Map, you will see spots that resemble a heat map. While these spots do not reflect the actual temperature in the location, they do tell you if the place is "hot" because of the Snaps submitted to the collaborative "Our Story". Tap on the map and take a sneak peek of someone hiking around the Griffith Observatory, attending Glastonbury Festival or enjoying sunshine in San Francisco's Dolores Park. The idea for Snapchat Snap Map comes from the company's observations of the Snapchat user behavior. "Interestingly, one of the habits we've seen with our users is that they'll take a snap where they are, put on the geofilter, and post it to their story with a caption like 'hit me up," said Snapchat's Jack Brody. "They're basically saying come hang out with me here. Then, when they leave there they'll delete that from their story." Snap Map is more than just a new telling your friends about your location though. "This is about layering relationships [with friends] on top of what is happening in the world. It gives you more context on what your friend is up to. If I see a friend is at the Forum, I don't just see she's there. I see she's there and The Weeknd is performing. It triggers conversations that you wouldn't otherwise have had," says Brody. 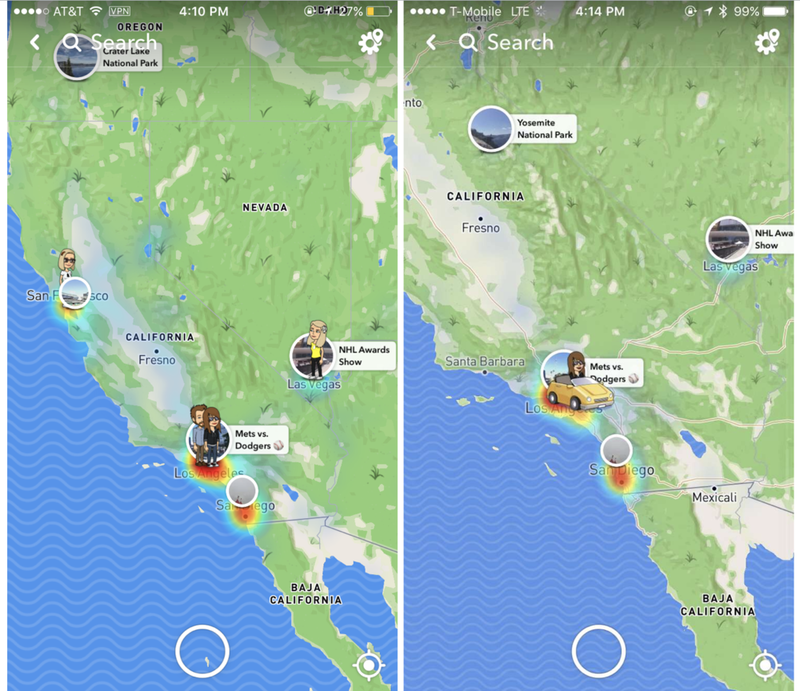 Designed to share snaps from the buzzing locations around the world, Snap Map's heat map spots have a strong potential to break the news before it reaches traditional media channels. Once, when the Snapchat team was testing the Map function in February 2016, a crane collapsed in New York and "Our Story" submissions spiked up in the area before police and media arrived. "That was this moment of 'we have something here,'" Brody said. "We had newsworthy content 10 minutes before the first news company actually arrived." Snap Map is a living, breathing map - it’s different every day! Use it to snap friends and meet up with those who are nearby, make last minute plans or discover the places you have never been, from around the world, through the screen of your mobile phone. Where do you want the Snap Map to take you? 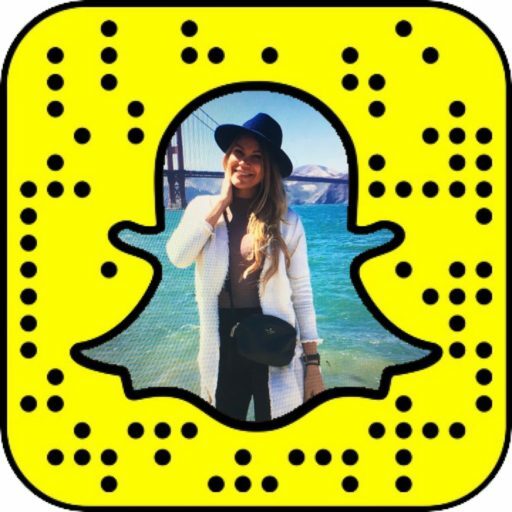 Jun 22 Snapchat Daily: Become a contributor!